Hey, did you hear the dude who complained about a music festival lineup? Bad look on you, dude. Bad, bad look. B) There are no promises when it comes to music festivals. The fact that you bought a pre-sale ticket (arguably) does not warrant a sense of entitlement. You knew what you were getting into. Sure, it would be sweet if there were always more women on the card, more African-Americans, more world music...ahh, screw it...let's just cut to the chase here: a common complaint is that the lineup is too white (I might add: so is DesertTrip and every concert EVER played at the current Busch Stadium). But let's go back in time. Yes, Woodstock featured Janis Joplin, Joan Baez, Jefferson Airplane, Richie Havens, and Jimi Hendrix, so maybe that's the ideal bar -- an amazing, legendary eclectic mix. But that was a one-time deal, and that was also 1969. Today, it's different. Beyonce and Taylor Swift can sell out an arena or dome. And let's face it: they will never play LouFest. Believe me -- I want to see Kendrick Lamar and Florence and the Machine, too. But it's not that easy. C) This is not a "Paul McCartney at Busch Stadium" or "Pearl Jam at Wrigley Field." Even Eddie Vedder has admitted those shows are planned out wayyyy in advance. With a music festival, besides huge egos being in the mix, availability and routing come into play. And with availability comes considerable costs. With routing comes a whole other host of problems. (Read: we're not New York, Austin, or Chicago.) If intent is worth anything, I can almost guarantee you that the people booking this thing want a variety -- and try to do just that. But that is often an impossible feat to conquer. But, enough of my opinions. Let's get to the lineup, which, if I can be blunt, is impressive. 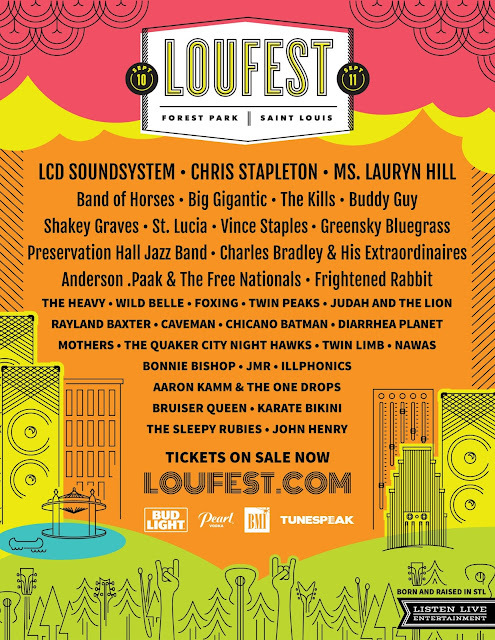 LCD Soundsystem is a major booking for LouFest. They've sold out Madison Square Garden. They are a bonafide headlining act. Chris Stapleton is an interesting get for two reasons -- he's playing the Fox Theatre in June and he's "country." But that Fox show is sold-out, and Stapleton is NOT Luke Bryan country. He's more Jason Isbell or Kacey Musgraves country. And there is a big difference between the two. Lauryn Hill is, depending on who you ask, a legend or a loose cannon. Or, maybe she's a little bit of both. Scotland's Frightened Rabbit has not played St. Louis since 2010, when it sold out the Old Rock House. Buddy Guy is a legend and one of the best guitarists alive. 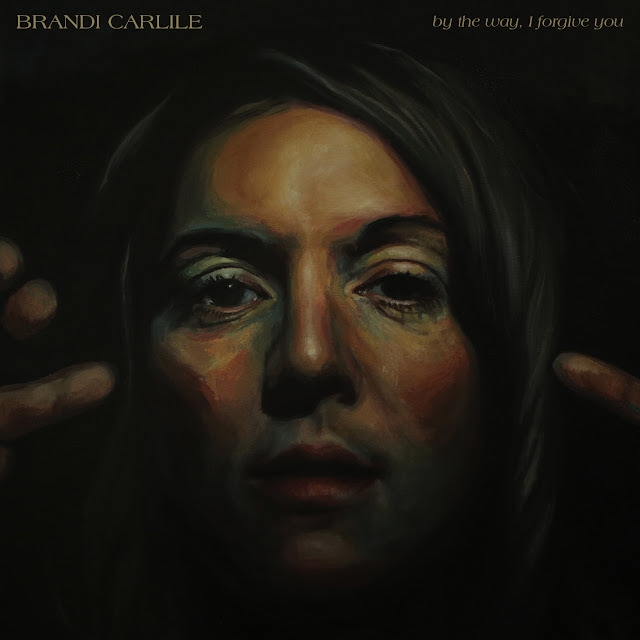 Shakey Graves, Charles Bradley, Band of Horses, and The Kills are all highly sought-after bands. As are Anderson .Paak & The Free Nationals, Vince Staples, Twin Peaks, Wild Belle, Rayland Baxter, and Chicano Batman. And yes, we have a wild card: Preservation Hall Jazz Band. There are seven total: Foxing, Bruiser Queen, John Henry, Illphonics, Aaron Kamm & the One Drops, Karate Bikini, and the Sleepy Rubies. I will be the first to tell you I'm not up to speed on many of these artists. But that's the point of LouFest. It's also the beauty.